Mathematics is said to be the queen of all sciences, but it is not everybody’s cup of tea. Why? Because during the child’s crucial learning stage, most children acquire a dislike for the subject. As a teacher for many years now, I have realized that when students’ queries are not answered at the right time or when they remain unanswered, a phobia for mathematics begins to develop. No matter how hard you try later on, a lot of the students are unable to recover the initial enthusiasm they may have had for the subject. So a teacher has to be always ready with strategies to help all types of learners in a classroom. Remediation varies with individual needs. In this article I would like to share various remedial strategies, which will help teachers to create and retain students’ interest in the subject and clarify their individual problems. First, let us understand the difference between mistakes and misconceptions. Misconceptions are conscious. This means students are applying wrong concepts not at one place, but repeatedly. On the other hand, mistakes are committed due to carelessness. Here is an example of a misconception. Earlier, we were taught that multiplication is repeated addition, but when it comes to multiplying –(2) x –(4), we find we cannot perform the operation (-2) + (-2) + (-2) + (-2) to get the answer because this gives an answer equal to -8 and (-2) x (-4) is 8. Once a teacher explained to the students that the solution of (x+5) (x-3) = 0. This means either (x+5) = 0 or (x-3) = 0, so we get x = -5 or x = 3. Now, the students were asked to solve (x+5) (x-3) = 8. A majority of the students wrote (x+5) = 8 or (x-3) = 8, this means x = 3 or x = 11. It is rightly said that prevention is better than cure. So, start taking remediation action well before the final examinations. As teachers we need to adjust ourselves to the learner’s capability and understanding. 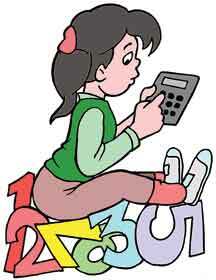 Remedial mathematics requires not just knowledge of the subject, but also special skills. Remediation does not mean increasing the burden of students with more exercises and more practice questions. This is indeed a challenging task for teachers. The author is a PGT in mathematics in Kulachi Hansraj Model School, Delhi. She can be reached at mathclass_khms@yahoo.co.in.